Kenmure Country Club was transformed on Saturday, August 12, into a true facsimile of The Park at Flat Rock. Complete with park benches, trees, flora and fauna, the Kenmure clubhouse greeted 175 donors and visitors to celebrate The Park’s presence and contributions to our community. The Flat Rock Park Foundation is coordinating a fundraising campaign to assist the Village of Flat Rock in completing the expansion of the trail system at the park. Foundation Development Director Maurean Adams announced that in just two months, $140,000 in gifts have been received to support this trail project. Each gift will be matched dollar-for-dollar by a generous gift from the Estate of Richard Eppler. The evening featured emcee and Flat Rock native, Turner Rouse, Jr., and several local artist presentations. The event concluded with the auction of a quilt replica of the Historic Trails quiltblock, which hangs at the Welcome Center at The Park. Bidding proceeds added to the trails campaign gifts. The quilt was made and generously donated by nationally recognized quilter Georgia Bonesteel. 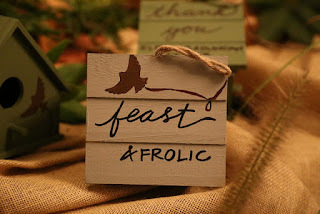 The first “Feast and Frolic” event was sponsored by lead donor Pardee UNC Health Care. Speaking for Pardee, Chief Administrative Officer Johnna Reed emphasized the health benefits the Park and similar facilities bring to our community. For more information about contributing to the trails campaign completion, targeted for Sept. 3, 2017, contact Maurean Adams at 828-697-8100. Flat Rock Park Foundation, Inc. was created in 2014 by the Village of Flat Rock to create a vehicle for philanthropic giving to the Park at Flat Rock, its projects and programs. Over $1.1 million has been raised to date to assist the Village of Flat Rock with the park’s development. For more information, visit www.villageofflatrock.org.